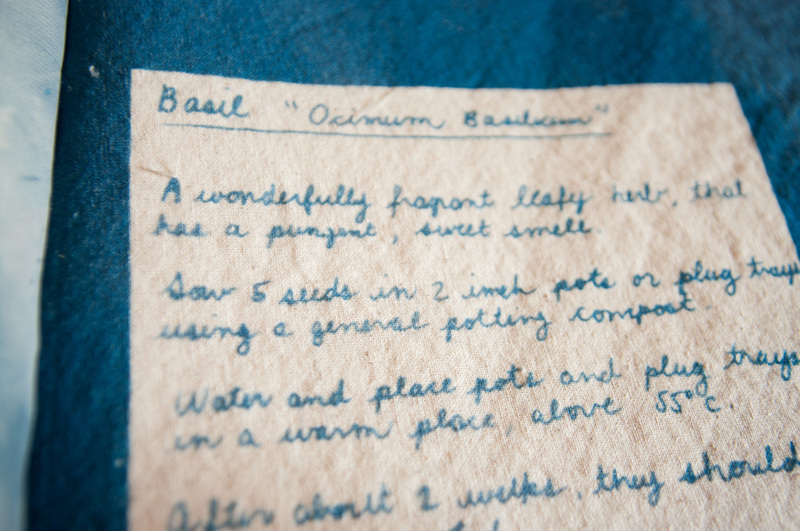 Using the cyanotype historical photo process, I created a visual recipe guide for growing flavourful herbs. The guide visually displays the three states of each of the four herbs (seeds, fresh and dried) through photograms. Hand written instructions on how to grow the herbs accompany the visuals. 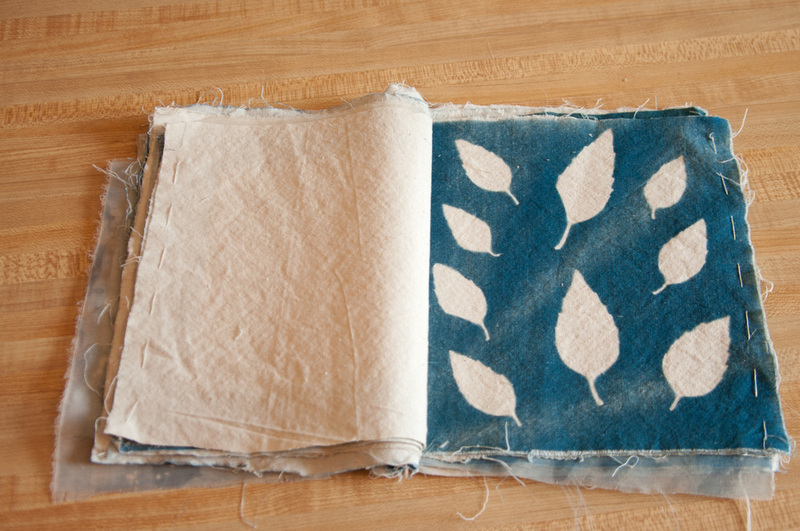 The actual seeds and herbs were placed and exposed on these sheets of fabrics to create visually stunning photograms. 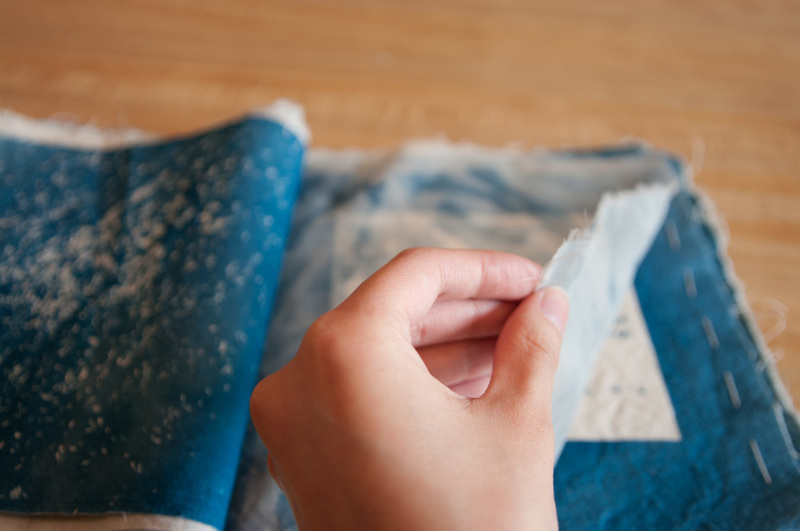 The dreamy aesthetic that the cyanotype process has and the textures of the organic fabrics provides a more tactile, intimate experience for the reader. 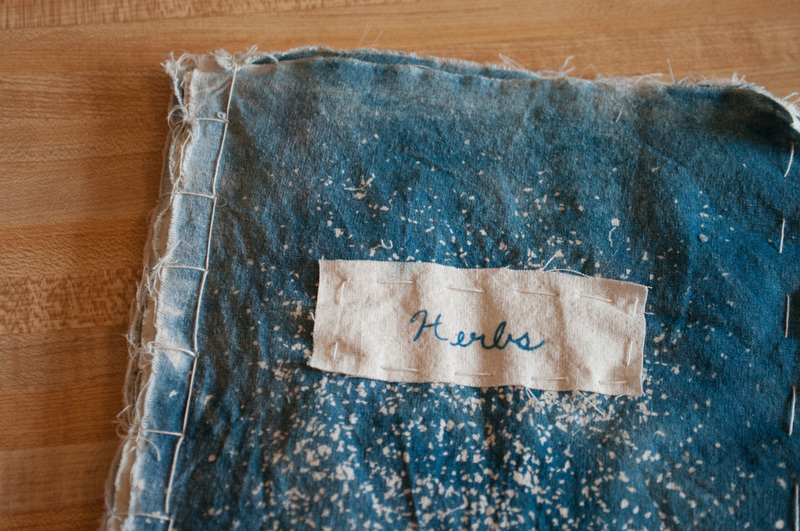 The stitching of the pages, binding and fraying of the raw fabrics follows through with the mentality of growing your own, and being involved in the whole process from start to finish.